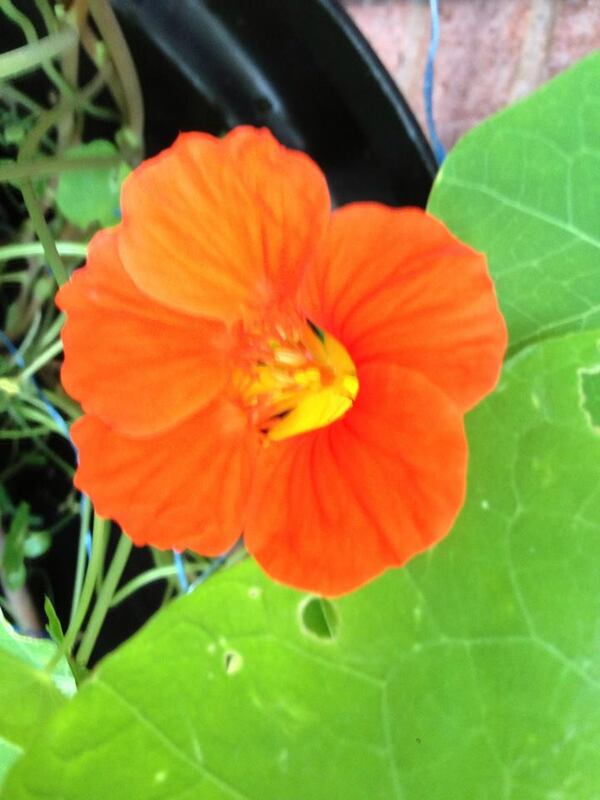 Aside from being a very beautiful flower/herb the nasturtium is useful in so many ways. Caterpillars and all those nasty critters prefer munching nasturtiums to all your produce. They are also easy to see and dispose of on the smooth foliage of this glorious plant. The young leaves and flowers of the nasturtium make a nice spicy salad leaf with an intriguing peppery taste and the prolific seeds can be pickled and turned into ‘capers’ to put on your homemade pizzas. Champion! This entry was posted in The 'Urban Farm' and tagged capers, caterpillars, complementary planting, flowers, herbs, nasturtium, salad leaf. Bookmark the permalink.